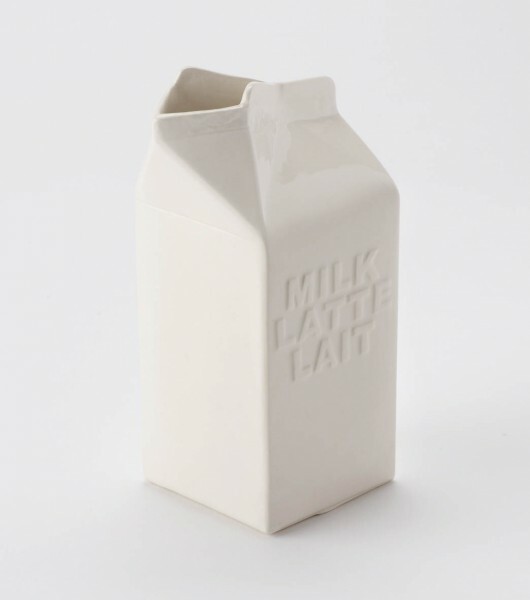 This stylish yet functional white ceramic Milk Jug features a contemporary design inspired by traditional food packaging. Each item has been hand cast in England and has the the name of the food product in English, Italian and French: Milk, Latte and Lait. The design is exclusive to Paxton & Whitfield and the words “Handmade for Paxton & Whitfield” can be found on the base. At the tallest point, the jug is approximately 16cm high. The base has a width of 7cm.